All parents want to give their children the best education they can. We are lucky to have excellent schools colleges and universities, however there can be many reasons why parents need help when it comes to education law. It may be an issue over admission to a particular school, how the school is dealing with incidents or concerns about the performance of the school. Through our merger with Whitehead Monckton we can now assist with a wide range of concerns. Graham Jones who heads the education team has extensive experience in supporting families. As a school governor, at both a primary and secondary school, he is not only aware of the laws and regulations, but understands the practical issues and constraints which can affect children and their education. 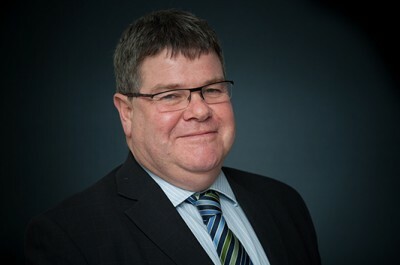 He has worked in all areas of school governance, curriculum, finance, personnel and has a pragmatic and collaborative approach to solving issues. Graham's other area of expertise is Family law so he is well placed to help resolve any issues over education arising from divorce and family breakdowns. As a member of Resolution he is committed to the constructive resolution of family disputes and carries this approach through all his advice. He is also a qualified mediator. A really important element of our role is to ensure clear communication between the parties and an understanding of the options available but also the constraints. We can guide parents through the various processes, or actually attend admission hearings and appeals. The extent of our involvement can be flexible to suit the family’s wishes and the different circumstances. In some cases, we will give the advice you need to hear, rather than what you want to hear, all designed to achieve the best outcome for your family. Our first concern is to build a clear picture of the issue and the possible outcomes. We can then agree the best approach to adopt and the type of support we can provide and therefore the extent of our involvement. For example, your child may have been unsuccessful in securing a place at your school of choice and you are considering an appeal. We can work with you to review your options, decide on whether an appeal is appropriate, prepare the appeal framework and if appropriate represent you at the appeal itself. Each case is different and the extent of our involvement will be based on your wishes matched with the circumstances involved. We can also work with teachers and schools who are under regulatory investigations or may wish to challenge funding decisions. The costs of working with us are often covered by public funding (also called legal aid) or Legal Expense Insurance. We will advise you on the best way of funding your claim and we will ensure all our costs are clearly explained and provided before any work is charged for. Whatever your circumstances, you can be sure that our service will be carefully tailored to you. Our specialist education law solicitors are here to help you make your education case with confidence and ease. If your child has disabilities, difficulty in learning or behavioural difficulties, they may have special educational needs (SEN) and can therefore qualify for additional educational support. There is a laid down process to help determine your child’s special educational needs and following a defined process these needs are set out in a Statement of Special Educational Needs. We have set out below what is involved in the process. The process is the means by which a child’s Special Educational Needs are assessed and provided for by a Local Authority (LA). A parent can request a Statutory Assessment of their child’s needs is undertaken by a LA. The authority has 6 weeks in which to decide if they are going to do so. If the LA refuses to undertake a Statutory Assessment parents have a right of appeal to the SEND Tribunal. This appeal must be made within two months of the LA’s decision. Together with any other professional the authority feels it is appropriate to involve – (eg the Speech and Language Therapy Service). The LA should inform a parent of the outcome of the assessment within two weeks of its completion. This includes whether they will issue a Statement of Special Educational Need as a result of the assessment. In some cases the LA will issue a Note in Lieu and parents have a right of appeal against this decision to the SEND Tribunal which must be pursued within 2 months. 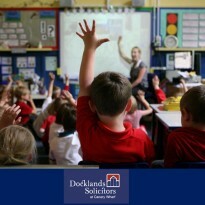 Dockland Solicitor's education lawyers can assist you throughout this assessment process or only get involved if you need to complete an appeal to thr SEND Tribunal, the decision depends on how much support you need and the specific circumstances for your child.